Great news today for the Kelly family as a recent MRI has come back clean, showing that Jim Kelly is officially cancer free. The Hall-of-Game quarterback is continuing to make progress in recovery from surgical procedures which already removed most of his jaw. He was first diagnosed with cancer in 2013 and has had two recurrences since. 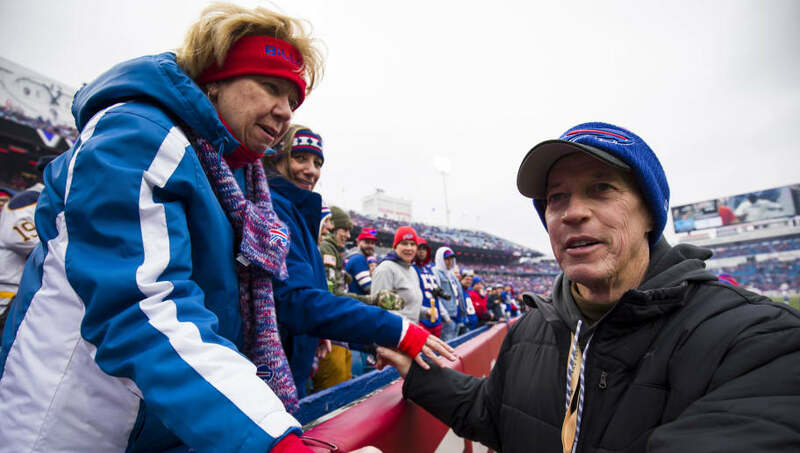 His wife Jill posted a touching Instagram photo after her husband heard the news of his MRI, which the Bills incorporated in a supportive post for their legendary QB. Kelly has been a fighter since his first diagnosed case of cancer in 2013 and is continuing to fight to this very day. Kelly threw for over 35,000 yards and 237 touchdowns in his 11-year career with the ​Bills, leading them to four consecutive super bowl appearances. Great to see the man is cancer free.